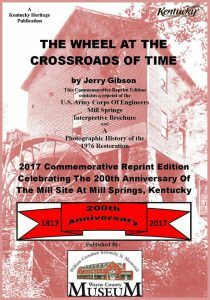 The Wheel At The Crossroads of Time – This book is a reprint of the 1976 book done by Jerry Gibson. 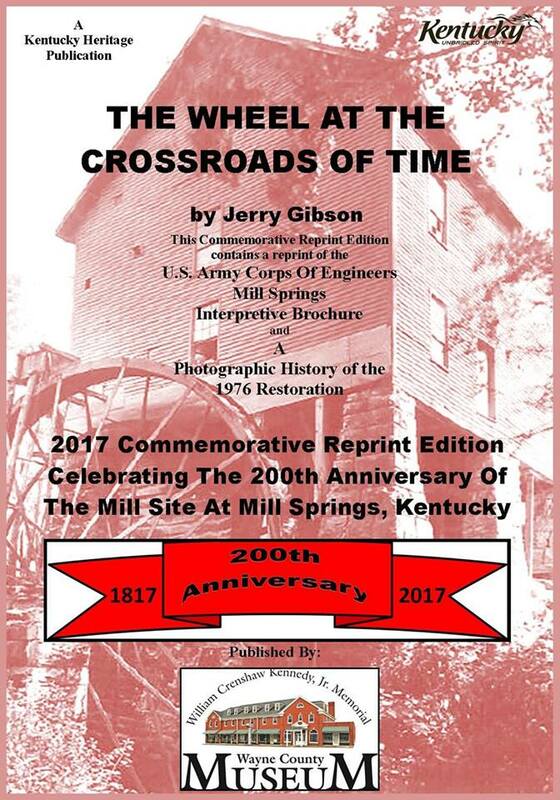 Added to this is the U.S. Army Corp of Engineers Mill Springs interpretive brochure and a photographic history of the 1976 restoration. 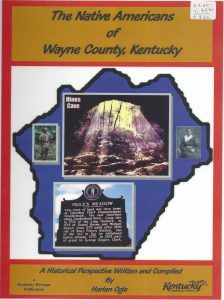 The Native Americans of Wayne County, Kentucky – Is a historical perspective written by Harlan Ogle. 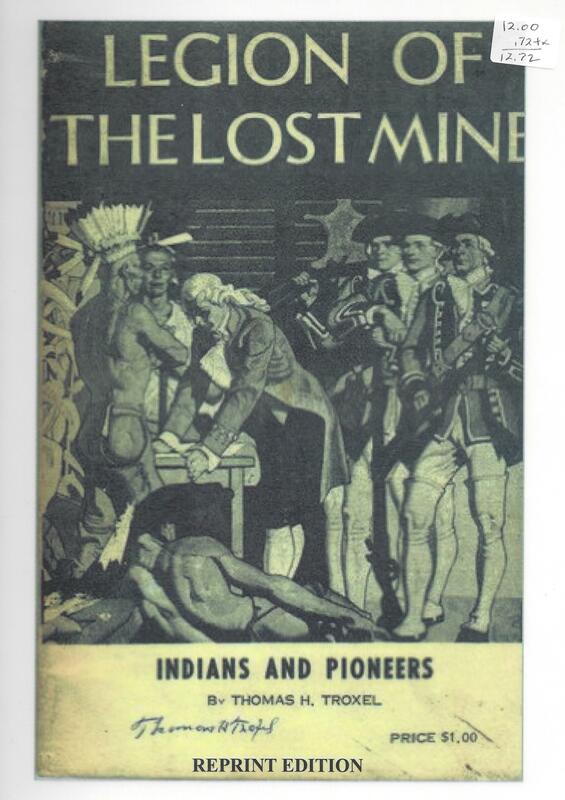 Legion of The Lost Mine, Stories of the Cumberland – A reprint of the 1950s book written by Thomas Troxel that tells a story about Indian Chief Doublehead and Princess Cornblossom. 1938 Presentation Quilt – In 1938 a community quilt was made and presented to Bro. 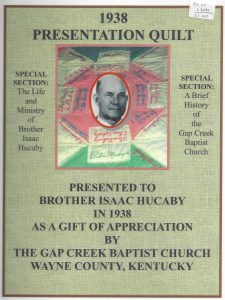 Isaac Hucaby, a Baptist minister. The quilt has the names of over 200 people that lived in the Gap Creek and surrounding community. The names are all hand stitched into the quilt. 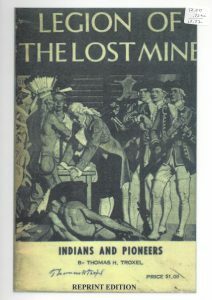 The book has information about Bro. 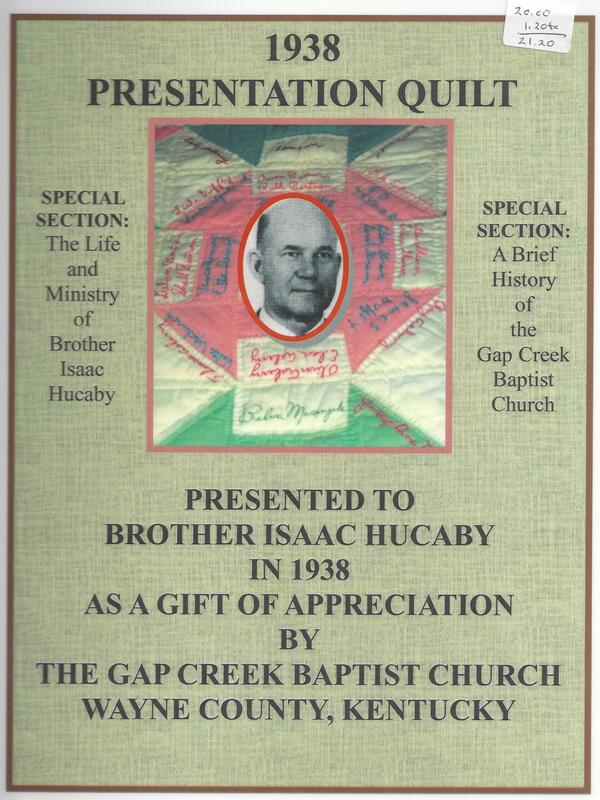 Hucaby, a brief history of the Gap Creek Baptist Church, and pictures of the names on the quilt.